Today's Image of Mars is of Gale Crater as taken by Mars Odyssey THEMIS. Between August 6 and August 20 2012 Mars Science Laboratory Curiosity is set to land at Gale Crater. 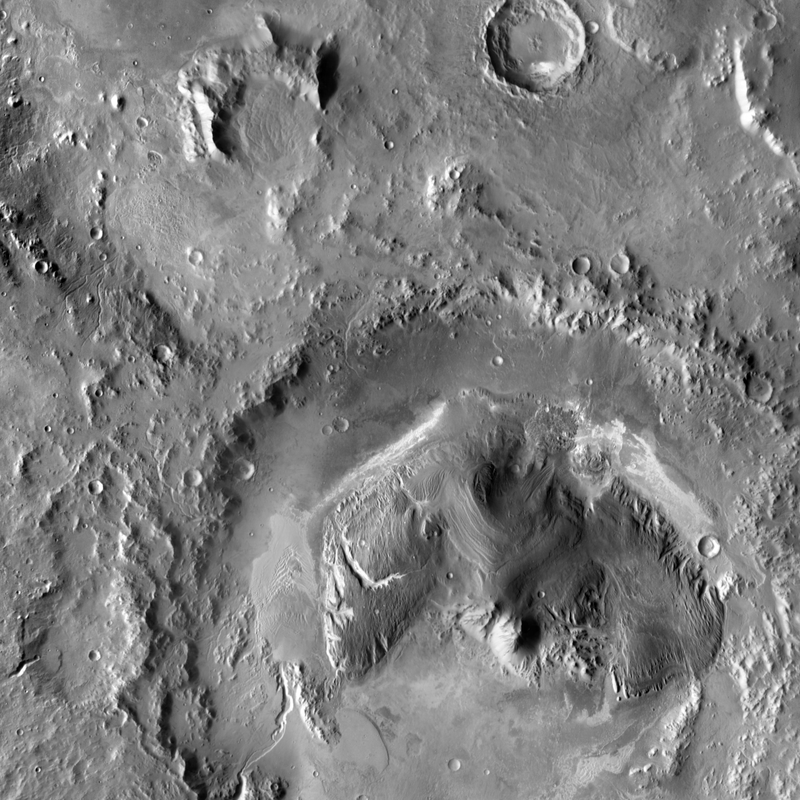 Gale Crater is 150 kilometers (around 93.21 miles) in diameter and contains an enormous mound near the center that rises even higher than the southern rim of the crater. It rises 5.5 km above the northern crater floor and 4.5 km above the southern crater floor. The mound contains many layers; it is estimated that its foundation may be as old as 2 billion years old. Curiosity will be able to examine these different layers and determine at which point, if any, Mars was able to support life. It is speculated that the mound is what remains of sedimentary layers that once filled the entire crater and that these were initially deposited on a lake bed. This image will link to the original full page, high resolution image from THEMIS. Be sure to check back soon because I'll have an article on the whole Mars Science Laboratory mission!